Nick Mayo offers potential renovators a high quality sustainability advise service. Nicholas Mayo brings a wealth of experience and knowledge to the sustainability profession. He offers support and up to date advice for home owners, builders and tradespeople involved in or considering renovating. Nick also provides strategic advice and personal training for people experiencing difficulties gaining approvals for sustainable technologies from government or council. The service Nick offers is unique because he has lived with the sustainable technologies that gained Canberra’s Sustainable House several awards. 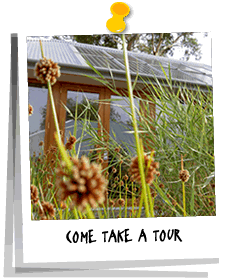 Canberra’s Sustainable House provides a consultancy service to coordination your next building project. Nick Mayo is skilled and experienced at bringing owners, builders, trades and other professionals together to ensure a high quality sustainable result. Nick brings a unique quality to the Sustainable Building profession as a result of designing, gaining approvals and living with a diverse range of sustainable technologies. There are very few of us around!!! Would you love to have a productive Vegetable Garden, but don’t have the time to create one? Call Nick and ask him to design you a kitchen garden that will inspire you and put a smile on your face. We provide a kitchen garden design, construction and ongoing maintenance service for people from all walks of life. Too busy, too tired or unable to a physical condition? We’ll have you harvesting your own fresh healthy produce in no time. The inspiration of picking your own vegies and fruit will uplift you. Contact us today so you have a year round productive garden.